Since we attend MACUL (EdTech Conference) regularly, as Tech Coaches we are familiar with Eric Curts of the Control Alt Actieve Blog. He has compiled some templates that can be used in Google Drawing and shared them with the public for use in the classroom! View the following templates for inspiration or get you started using Google Drawing in your classroom. 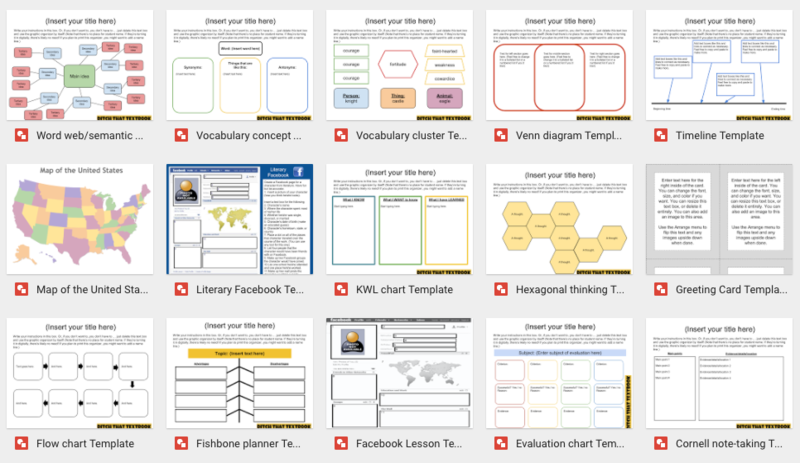 Once this folder is added to your Drive, feel free to share each resource with the rest of your class / students.